Move over, Grilled Cheesus. 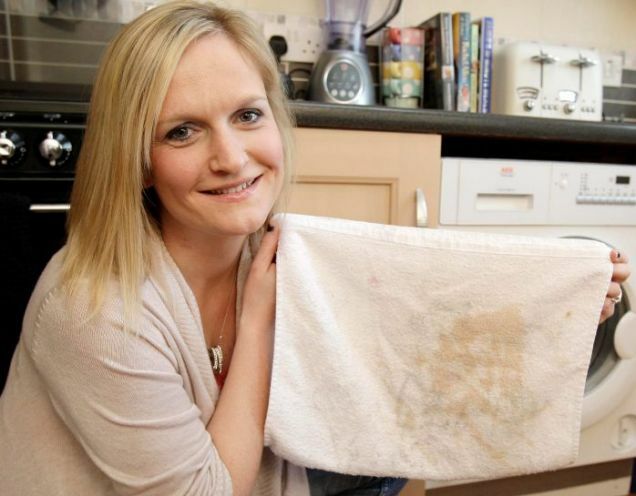 Roisin McCourt, a 31-year-old dance instructor from Coventry, England says a brown stain that appeared on one of her tea towels shows the face of Jesus Christ. "I don't even know what the stain was made from. I had not seen it before I had put it in the washing," she said. "I am Catholic, but I am not extremely religious. We don't go to Mass every weekend, but after finding this, it has definitely made my faith stronger." McCourt says many of her friends believe it more closely resembles Elvis. 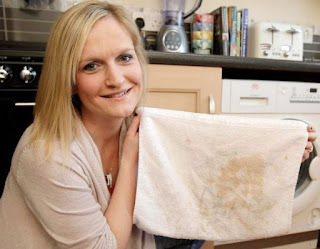 Regardless, she claims that since she has gone public with the apparition, she has received numerous phone calls from strangers who want to view the towel.